Listing 09873656 has been removed. Contact us for additional information. 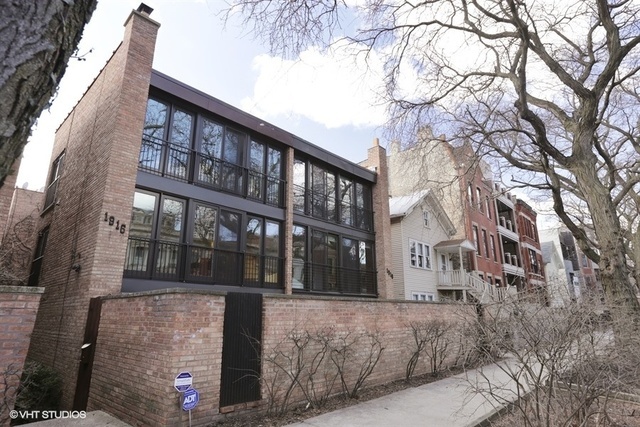 ONE OF A KIND, RARE OPPORTUNITY TO OWN THIS FEE SIMPLE THREE STORY TOWNHOUSE IN HIGHLY COVETED EAST LINCOLN PARK! IT HAS BEEN COMPLETELY REMODELED TO THE STUDS WITH TODAY'S HIGHEST STANDARDS. WHAT'S NEW: KITCHEN, BATHS, APPLIANCES, ELECTRICAL, PLUMBING, TUCKPOINTING, DESIGNER FIXTURES, CUSTOM WINDOW TREATMENTS, CARPET, SOLID CORE DOORS, REFINISHED WOOD FLOORS FLOORS THROUGHOUT. WALK THROUGH YOUR PRIVATE BRICK PAVER PATIO AND INTO A CUSTOM DESIGNED KITCHEN. 42' WHITE SHAKER CABINETS, CALCUTTA QUARTZ COUNTERTOP, UNDERMOUNT LIGHTING, SOFT CLOSE DOORS/DRAWERS, AND HIGH-END STAINLESS STEEL APPLIANCES. SECOND FLOOR BATH FEATURES MARBLE FLOORING, STONE COUNTERTOP, AND TRAVERTINE SHOWER. THE GORGEOUS EXPANDED MASTER BEDROOM AND ENSUITE FEATURES CROWN MOLDING AND CUSTOM HIS/HERS WALK-IN CLOSET. THE ENSUITE BATH HAS CARRARA MARBLE COUNTERTOP, MARBLE FLOOR, AND SUBWAY TILED SHOWER WITH DESIGNER FINISHES. ALARM SYSTEM PRE-WIRED. TOP RATED LINCOLN SCHOOL DISTRICT. JUST MOVE RIGHT IN! Property information last modified by seller on Thursday, April 12, 2018, 11:07 AM CDT. Information Deemed Reliable But Not Guaranteed. Unauthorized duplication, use, or linkage is prohibited. The information on this web site is for personal, non-commercial use and may not be used for any purpose other than to identify prospective properties consumers may be interested in purchasing. Monthly Payment Calculator results are for illustrative purposes only, not a financing opportunity; calculations assume a 30-year fixed-rate mortgage and do not include closing and other costs. Property Tax on NEW properties is estimated at 1.5% of Listing Price for payment calculation purposes; actual value may be higher or lower.